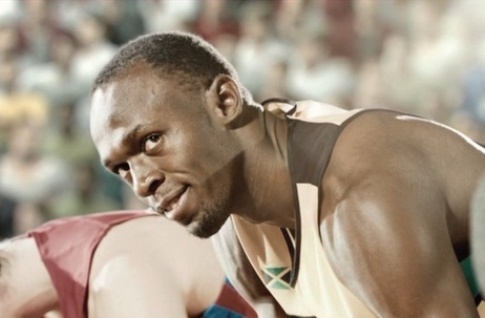 Jamaican sprinting sensation Usain Bolt is the stars in a new Olympic TV ad for main sponsor visa. The triple world record holder took time out of his busy training schedule ahead of this year’s Olympic Games, to film the commercial in London last month. The ad shows Bolt arriving at the London airport for the Olympics where he was immediately challenged by another traveler to race to the stadium. The two made their way through the street of London using only their Visa card. Usain Bolt is gearing up to defend his 100 and 200 meters sprint titles at this summer Olympic Games in London.